We’re back in the concrete canyons of New York, missing our cabin on the rim and the towering ponderosa pines. 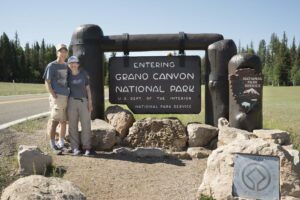 It was a spectacular three weeks of living and working at the Grand Canyon and we have such great memories. The neighbors: Ellyse, Christian, Jacob, Dave, Brian and all the park employees who live in the complex of cabins. The wind rustling through the ponderosas and quaking the aspen leaves. The animal sightings: Kaibab squirrels, deer, California condors, countless birds. 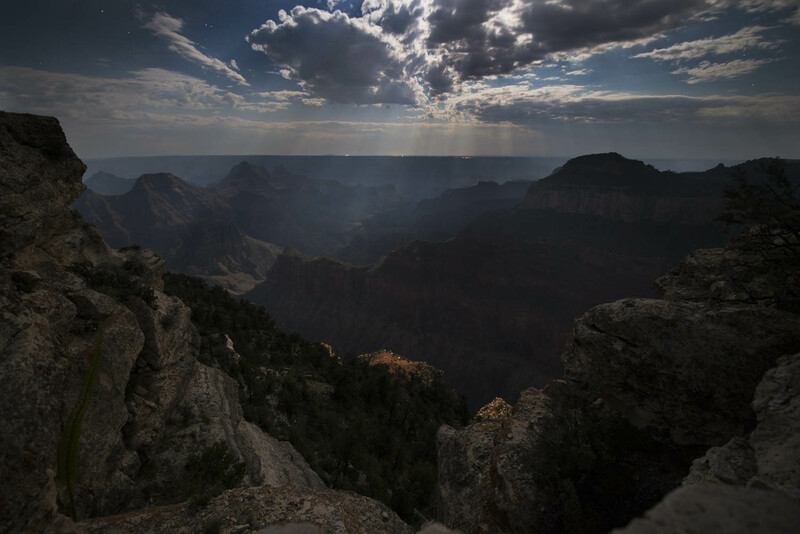 The stars and the sky: a beautiful night sky stretching across the canyon. A big thanks to the North Rim, ranger Robin Tellis and the National Park Service for making the residency possible. Now for the editing and processing of all the pictures. Here’s a couple from the last days, the Venus-Jupiter conjunction and moonlight streaming through clouds and into the canyon. And thanks to all the readers of the blog, hope you found it interesting. Next trip will be mid-July to the Rocky Mountain National Park and their Night Sky Festival. Keep watching this space! 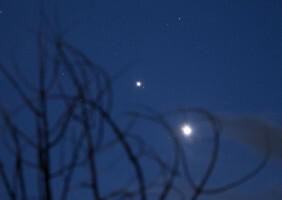 Venus and Jupiter through aspen branches. Mysterious moonlight into the canyon. Stan, as always, great photos. However, some appear to be blurry, out of focus. I imagine you could not have prevented this, or you would have. Is there a story you wish to tell?